Beverly L. Nickerson was born empathic, able to feel the pain of the collective earth family, and in particular the issues dealing with racial divide, social injustice and war. Unable to understand the current plight of the human race and the incessant degradation of mother earth, sparked her seeking out the esoteric teachings, indigenous ancient purification ceremonies, practicing Buddhism, meditation, herbal therapy, breathwork and spending enormous time in nature. Not able to comprehend so much strife on the planet, these practices helped her to feel calm and hopeful about the future for our human family. 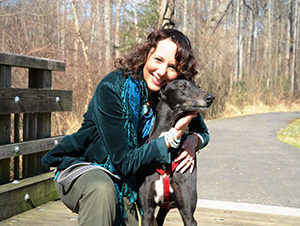 Beverly embarked on her holistic healing path back in the late 1980s after moving from Boston MA, to Maryland to attend college. As a way to balance her own body mind and spirit through practicing yoga, personal training and teaching aerobics in women's gyms, meditation, eating wild crafted herbs from Amazon Rainforest, drinking tons of plant based shakes, attending many holistic healing seminars, obtaining energy healing certifications and experiencing deep healings from top practitioners in the Greater Washington area and traditional medicine shamans in Peru. In mid 2005, Beverly had her first encounter with indigenous Peruvian Andean Medicine People of the Q'ero Tribe, while on tour in the US. Don Martin, El Condor, gave her a profound healing and intuitive reading session. This connection lead her on the next phase in her soul's evolution and the realization of her life mission to create Sacred Journey's to lead people to beautiful places around the world to reconnect with nature, learn ancient wisdom, guided by Indigenous Tribal People. The first retreats were to the sacred sites of Peru, including the Amazon Rainforest, Machu Picchu, Lake Titicaca and Bolivia, guided by local shamans and participating in their ancient ceremonies. Her next journey lead her to promote a trip to South Africa to connect with the magnificent White Lions at Linda Tuckers natural preserve in the Timbavati region to commune with these magnificent creatures called the Kings of Kings by African Elders. Learning from Linda and Tsonga medicine people on the significance of persevering these rare majestic beings, who symbolize the Light Consciousness returning to the earth. Preserving the White Lions in their natural habitat and protecting them from horrendous practices of canned farming that has moral and global impact on the animal kingdom and it continued survival. Beverly created Earthlight Promotions in 2006 after returning from her first journey to the sacred site Machu Picchu Peru, with a realization of the need for holistic healers to have marketing strategies to promote their healing practice out to a mainstream audience. 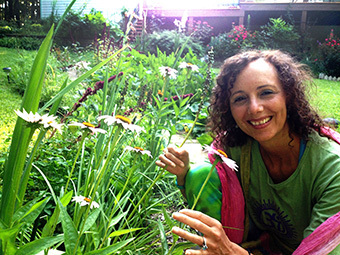 She created deep personal relationships with many holistic health practitioners all around the Greater Washington Area from Ayurvedic Doctors to Zen Buddhist meditation teachers. Creating holistic networking parties for many healers as a safe place to gather, exchange ideas, create business connections as well as personal connections that can last a lifetime. Over the last 12 years she has come to a deep understanding of holistic therapies and natural medicine by using it on herself to achieve optimum health and by attending many certification workshops, lectures, seminars, sacred retreats and holistic health fairs. She worked with Greater Washington Holistic Magazines, Lifepages and Natural Awakenings DC as the sales manager meeting hundred of natural medicine doctors and holistic healers. Loving being near the ocean of Martha's Vineyard and the jungle, feeling the infinite vastness of God, there was natural progression towards creating EarthLight Sacred Retreats to reconnect with the beauty of nature and ancient indigenous wisdom. Working part time with Countywebsite.com, she has created many websites for small business in the area. Countywebsite uses the newest search engine optimization techniques that helps get the holistic health practitioners and any small business many new clients.